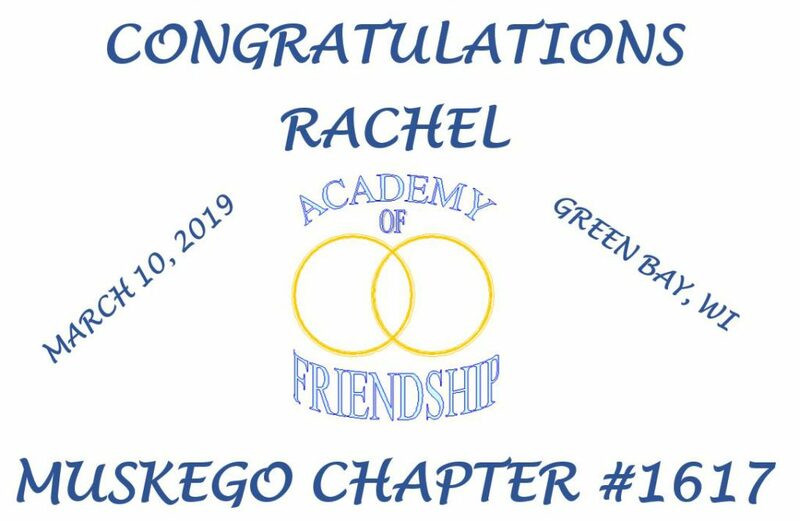 Rachel received the Academy of Friendship degree in Green Bay at the Mid-Year Conference & Academy of Friendship Session on March 10, 2019. The Academy of Friendship degree is the first degree co-workers can earn as they advance in their W.O.T.M. careers – what a great honor! To receive this honor a Co-Worker needs to sponsor 5 members into the Chapter, serve on the Board of Officers and sponsor 2 members. The Chapter must earn the Award of Achievement. 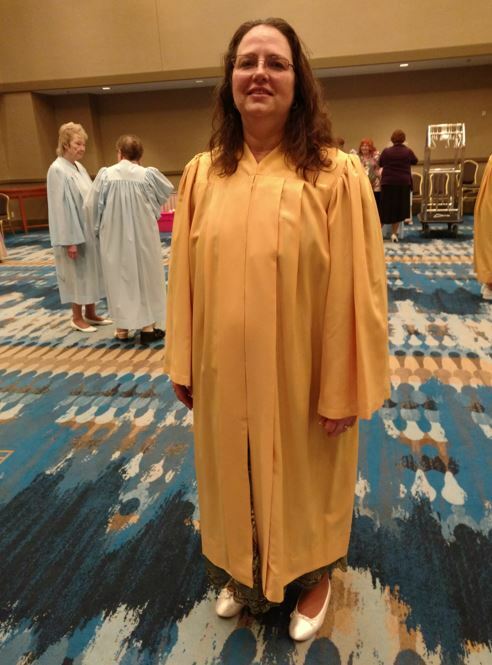 Rachel was a Class Representative in the conferral. Congratulation Rachel, on a job well done! Our Higher Degree Chairwoman Mona Schuyler is planning a light lunch after the meeting, please join us in celebrating! The Academy of Friendship Committee’s special project is to provide funds to help our new Mooseheart residents get the right start. Each year at Mooseheart we welcome approximately 50 new children to our community and our homes. For these new children getting off on the right foot is very important for their long-term success at our Child City. Children often arrive with a few changes of clothing and little else. Purchasing new clothing, coats, shoes, personal hygiene items, personal bedding and a few photo frames for pictures of their family help each child get a sense of belonging at Mooseheart and understand that we are going to provide for their needs, always concerned about their well-being and teach them to reach their full potential in a community built on hope, trust and love. The committee’s fundraising project was Soup-er Tuesday’s this year, from the proceeds, a generous donation will be made to the Moose Charities for this very special undertaking.